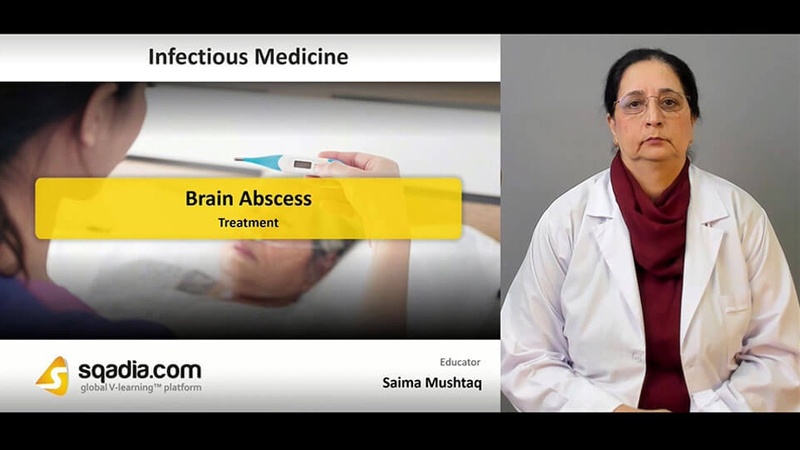 Want to gain an insight into a medical condition entitled as brain abscess? Here is the sqadia.com medical video lecture to serve the purpose. This lecture provides an in-detail elaboration of its etiology, pathogenesis and histopathology and its diagnosis. Furthermore, differential diagnosis and treatment has also been explicated. In the end, neurocysticercosis and CNS toxoplasmosis is expansively explained. In the beginning of this section, definition of brain abscess and its epidemiology has been shed light upon. Following this, etiology has been considered. 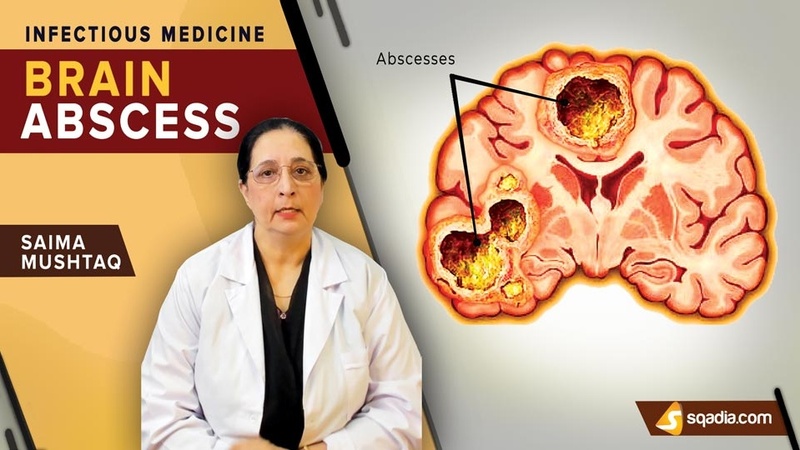 Moreover, otogenic abscesses, organisms responsible for this condition along with the cryptogenic and hematogenous abscess has been delineated. Conclusively, congenital cardiac malformations have been explained. Initially, the four stages of pathogenesis along with the clinical presentation has been considered. Amongst the symptoms, fever, presenting signs and focal neurologic deficits has been elaborated. Furthermore, frontal, temporal and cerebellar abscesses have been explicated. In the end, signs of raised intracranial pressure (ICP) is highlighted. Firstly, magnetic resonance imaging (MRI) along with the diagnosis of cerebritis has been conversed about. Additionally, diagnosis of mature brain abscess, distinguishing brain abscess and other CNS lesions and microbiologic diagnosis has been brought under discussion. Differential diagnosis has been presented in the end. In the commencement, optimal and empirical therapy has been highlighted. Moreover, treatment via empirical antibiotic coverage, medical therapy and prophylactic anticonvulsant therapy has been mentioned in-detail. Furthermore, intravenous dexamethasone therapy and prognosis has been considered. First of all, infectious focal CNS lesions-nonbacterial causes and clinical presentation has been comprehensively explained. Primary toxoplasma infection, its diagnosis and treatment strategies have been elaborated. Amongst the treatment, antiepileptic therapy has been explained. In the end, CNS toxoplasmosis and its treatment has been deliberated.